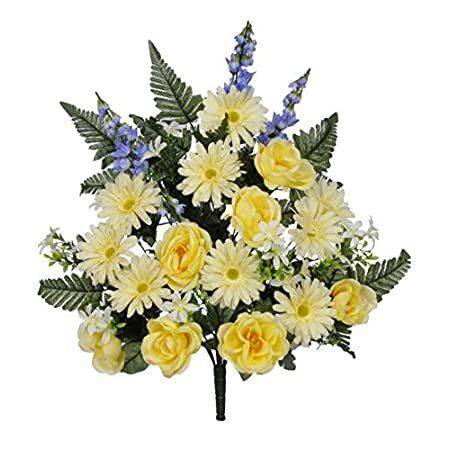 Using a time honored tradition, use artificial funeral flowers to express your sympathy. You can honor the life of a family member or friend. As requested by our customers we have launched a range of funeral flower in silk and other products. They can be used to mark an anniversary or be a long lasting memorial Such gifts have become a trend, especially since so many cemeteries no longer allow live plants because of the amount of cleaning up required. The history of having flowers around a grave goes back a long time – Cicero mentioned planting flowers around tombs about two thousand year ago. The range includes flowers for the headstone for specific seasons such as spring cemetery flowers made up of pink peony and white roses and patriotic arrangements such as summer patriotic artificial funeral flowers. This is a bright mixed arrangement on a saddle to grip the grave marker – there is very little chance of you being disappointed in these quality silk flowers and designed to last at least 3-4 months out in all weathers. Some arrangements come in pots and vases, using a wide range of flowers such as (as mentioned before) peony, roses, blue spider mums, forget-me-nots, wisteria. Here is more information on funerals in the USA. Flowers include an exquisite and a quieting touch to any funeral. Our silk cemetery flowers will make an enduring memory and will pass on your great wishes to the family of the deceased one. 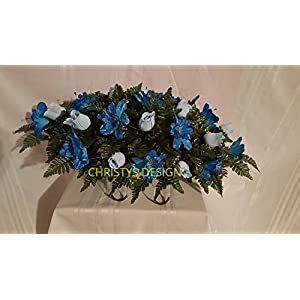 These artificial funeral flowers will demonstrate your sympathy and support to the family. Cemetery flowers are a standout amongst the most excellent mediums to show emotions. We can express everything utilizing them flowers. Also, our gift of artificial funeral flowers passes on one such feeling, that of sympathy and respect. 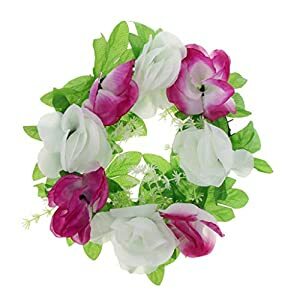 Flowers which will make an enduring memory and offer sympathies to the family of the deceased one, these sympathy flowers and wreaths are lovely and peaceful. 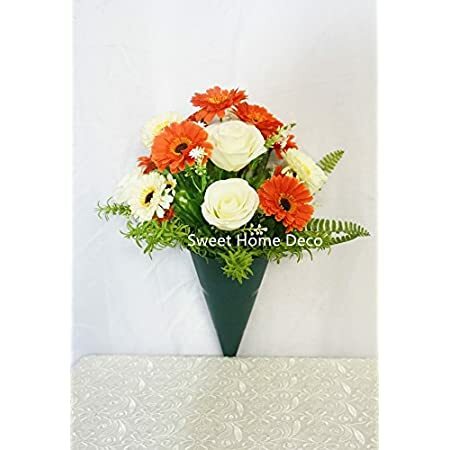 A perfect method to enhance the grave of the deceased one and to sympathize with the loved ones, these cemetery flowers have warm tones which will fit in well with the state of mind. They will include a perfect measure of serenity to the setting. As with all our products you will see highly competitive prices, fast delivery and a great range. Buy with confidence – we have been online for quite a few years now.